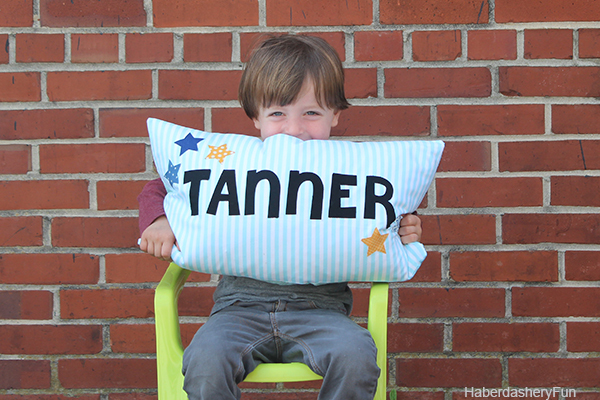 I’m happy to be sharing this adorable pillow today. 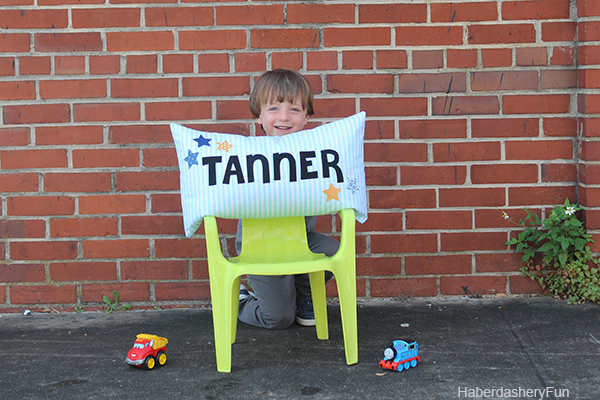 I’ve wanted to make a “Tanner” pillow since my little guy was born. 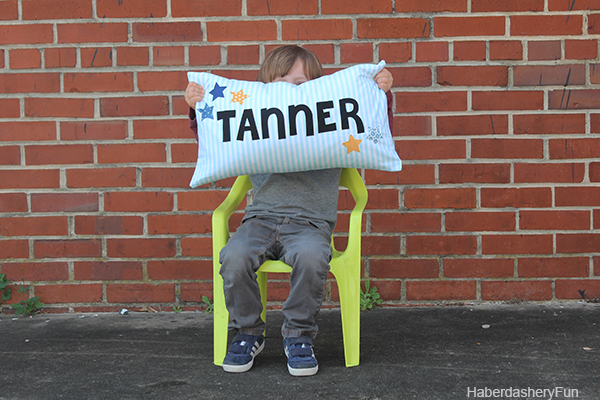 I’ve just never gotten around to it… Pillows are super simple to make AND add style to your child’s bedroom. 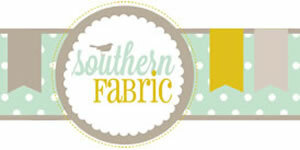 So when the opportunity came about to be apart of the Shabby Fabrics Blogger Challenge, I jumped at the chance. I had a lot of fun making this pillow. My son is 3 and loves finding the letter T in his surroundings.. 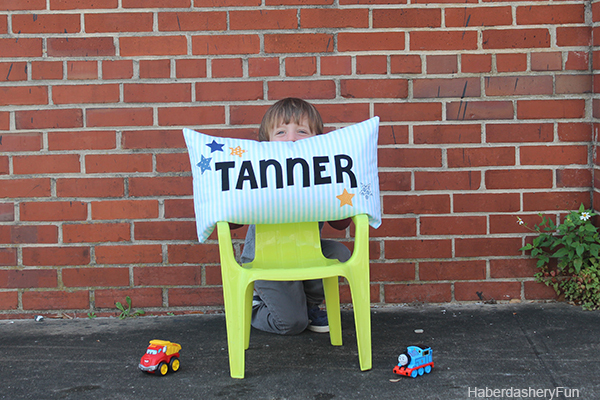 He always shouts out, “Hey Mommy.. “T” for Tanner” when he sees a stop sign or the letter on the side of a truck. It is the cutest thing and warms my heart. And guess what? 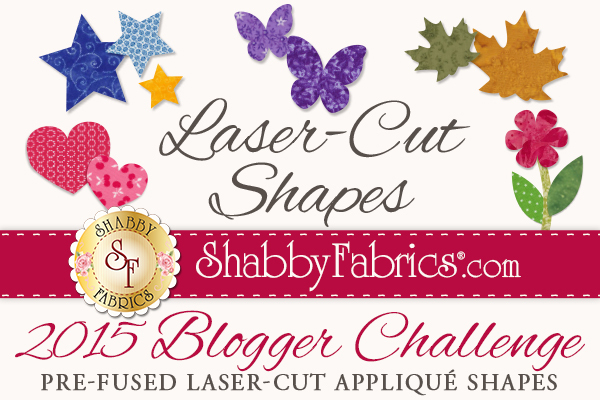 I’m hosting a giving away with this post – a FREE package of shapes. Make sure to read below, it’s easy to enter. 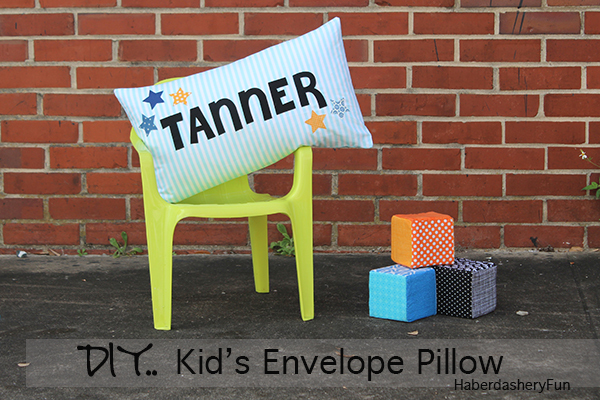 An envelope pillow is the perfect project for beginner sewers. 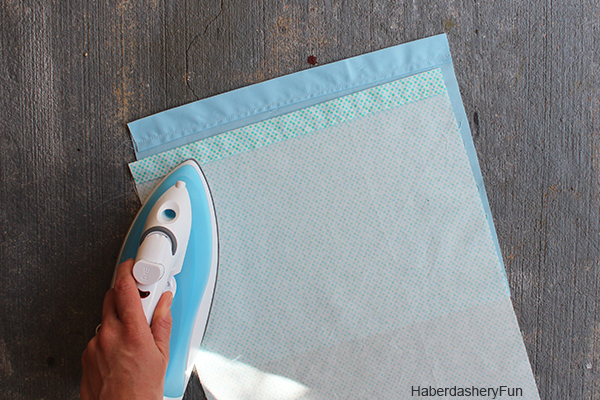 I promise you can do this in an afternoon – just grab 3 coordinating fat quarters, the laser cut applique shapes, your sewing supplies and you are good to go. Pillow front – Cut out 1 rectangle 21 3/4″L x 12 3/4″W. 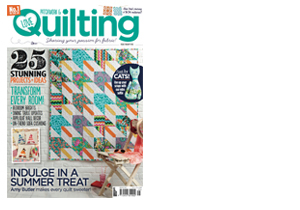 Step 1 – Lay the back fabric pieces on your work surface. On the “large side”, turn and fold under the short edge 1″. Press with an iron. Turn and fold under 1″ again. Press. 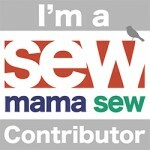 Place into your sewing machine and top stitch along the folded edge. Repeat for the “small side. These pieces create the envelope back. 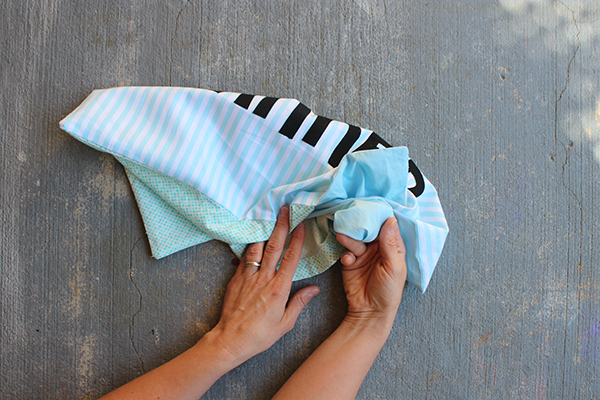 Step 2 – Lay the front pillow piece on your work surface. 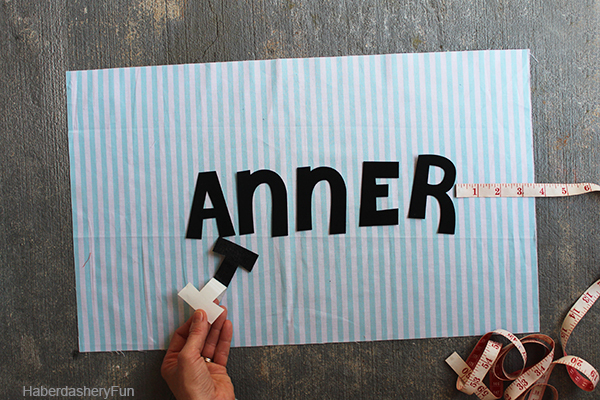 Take letters and shapes out of the package and play with the layout on the front. Leave a little extra room for the sides and make sure it it even especially the ends. 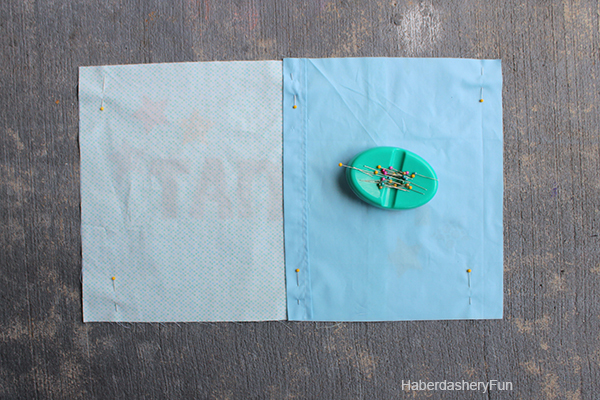 Read Shabby Fabrics package directions – carefully peel off the backing off the pieces. Place the shapes onto your pillow front. Press in place. Applique around the outside of each letter and shape. 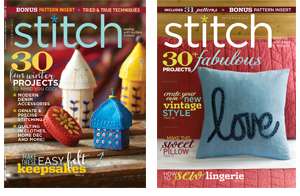 I usually use a straight stitch, but any stitch will do. 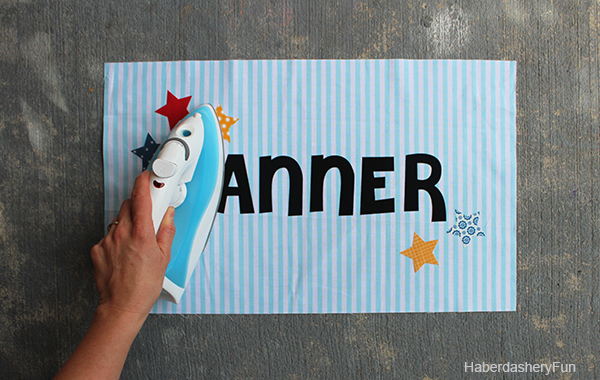 Step 3 – Place pillow front right side up on your work surface. Lay the back rectangle pieces right side facing down. The “large side” should be placed first and on the left. The “small side” should be placed on the right. Pin where they overlap and also around the outside edge. 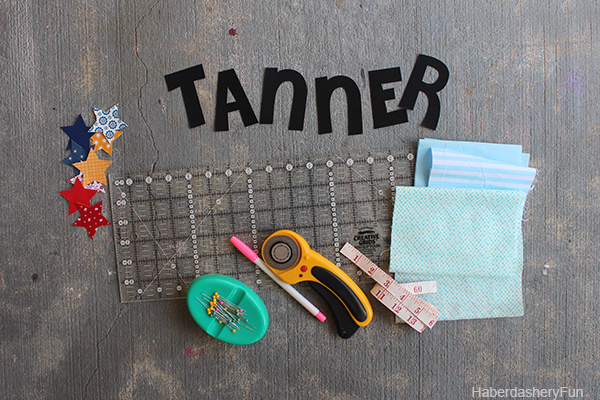 Place into sewing machine and stitch together with a 3/8″ seam allowance. Press. Finish the raw edges. Step 4 – Turn right side out. Wiggle corners into place. Press. 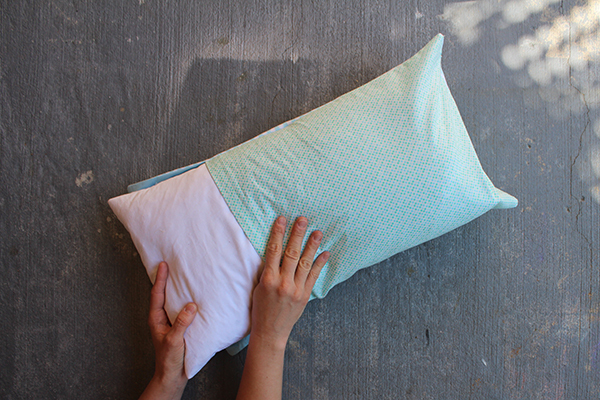 Step 5 – Insert the pillow form. Wiggle around so the side seams match. Jiggle each corner into place again. And that’s it, cute pillow complete. And now on to the BEST part!! I’m giving a set of ALPHABET SHAPES away!! It’s easy. Just leave a comment for this post and let me know what you would make.. That’s it.. 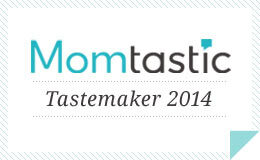 The winner will be selected at random and is open internationally. The contest is open through Sunday, March 22nd 12pm EST. Please note – the contest is now closed. Thank you to everyone who entered. 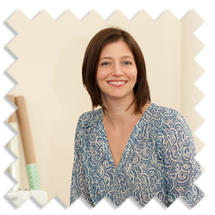 Wednesday, March 18th – Erin at Why Not Sew? 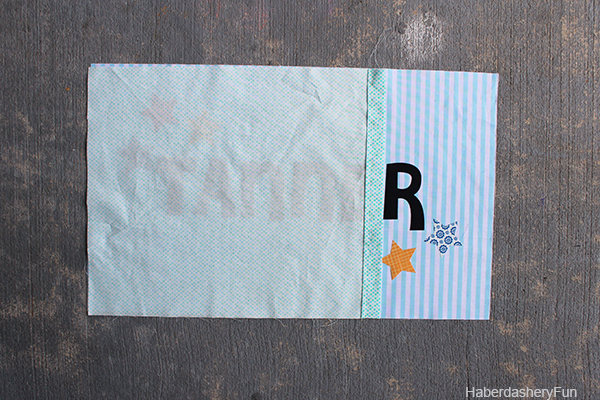 Please note that Shabby Fabrics sent me the appliqué letters and stars for this project. However, all opinions are my own. Can’t wait to hear from you. 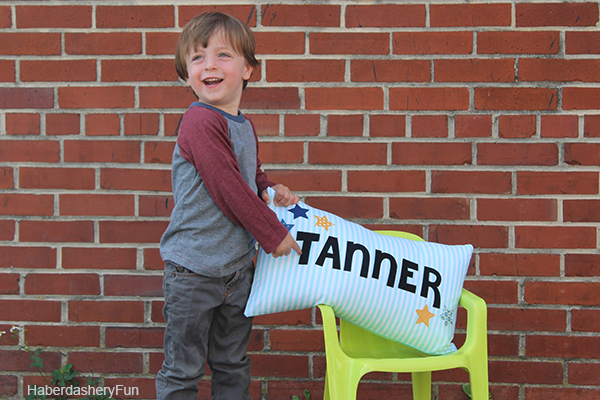 Cute pillow – and model! Adorable and fun! Our (almost) three-year-old grandson would love this! Thank you. My Granddaughter (4) does the same thing everything is B for Bella. I would make her a pillow with her name on it, she would be over the moon! Love this idea for all of my great nieces and nephews! What a fun gift to make! Thanks!